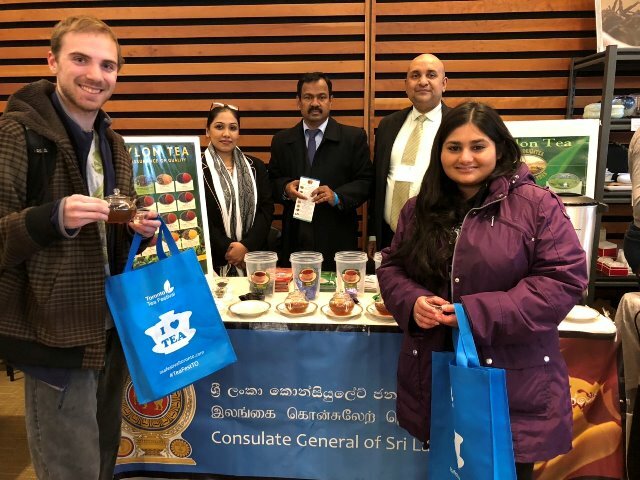 The Consulate General of Sri Lanka in Toronto, as part of its tea promotional program in 2019, participated in the 7th Annual Toronto Tea Festival 2019, organized by the Tea Guild of Canada, which was held from 1st – 3rd February, 2019 at the Toronto Reference Library with the support of the Sri Lanka Tea Board. Along with the Consulate General, over 30 tea vendors and other private sector entities, dealing with tea and other natural products took part at the event. At the Sri Lanka Tea booth, Ceylon Tea samples from 6 regions in Sri Lanka were displayed and free Ceylon Tea samples, provided by the Sri Lanka Tea Board were distributed among participants, numbering over 2700, during the three day event. Hot tea from these regions was also served to all the visitors. At the event, the participants were given the opportunity to participate in the seminars and listen to presentations on tea related topics. Internationally renowned speakers were available for clarifications on tea and culture. 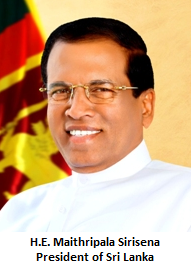 The Consulate’s participation facilitated promotion of Ceylon Tea, raising awareness among the participants on Sri Lanka’s rich tea culture, history of Ceylon Tea, processing techniques, and preparation styles. A large number of participants showed genuine interest about the tea production and on purchasing Ceylon Tea. The tea promotional event was a success and the Consulate General intends to participate in the next year’s Tea Festival as well.